If you are building a website for the coin market, then you most certainly need a selection of cryptocurrency WordPress plugins. Maybe one is enough, but you might be in need of two or even three. While some cryptocurrency WordPress themes have loads of features and extensions, the others might need to undergo some additional improvements. We prepared a collection of the finest and most promising cryptocurrency plugins for WordPress and even versatile scripts. With the current crypto hype, an immense call for websites related to the industry occurred. Not only is everyone talking about Bitcoin and Altcoins, many are expanding their businesses to accepting cryptocurrency payments, others are becoming traders while the third ones offer consulting. 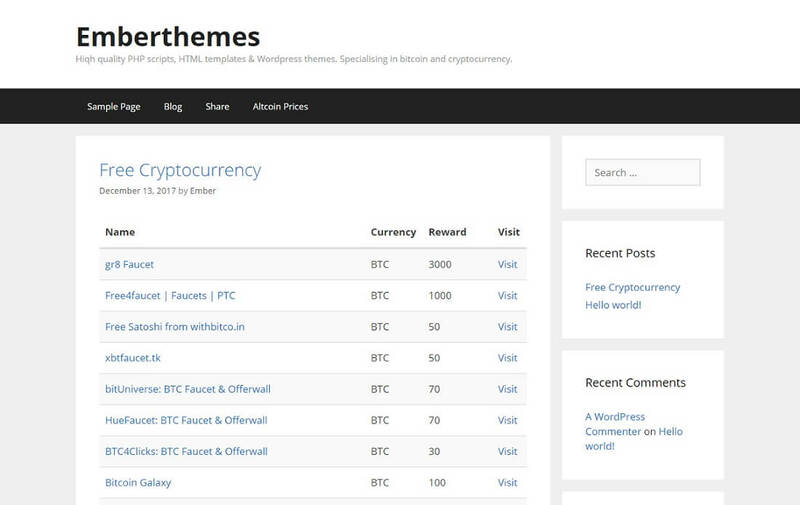 Along with the themes and plugins, there are also plenty cryptocurrency website templates available to cover an even broader specter of users. In short, creating a website for the virtual currency industry is way easier than you think. With the tools that are at your hand, plugins, scripts, themes and templates, your business idea becomes a reality in little to no time. Below, you will find cryptocurrency WordPress plugins for calculators, rates, Visual Composer widgets and more. There is even a plugin for Bitcoin affiliate system, as well as one that expands WooCommerce payments to cryptocurrencies. With hardly any work, you can have the ultimate crypto website all set to hit the online world. Take to your advantage these amazing Bitcoin and cryptocurrency plugins and make outstanding WordPress websites. Shall we begin with something that goes slightly against the grain the main topic? Or better said, entirely? I bet no one will be mad since the product that we have here for you is a terrific one. Coin Table is a content management system that was exclusively built for the cryptocurrency real-time information. It supports over one thousand currencies and all their information with 24/7 automatic updates. You do not need to do anything manually, let Coin Table do the work for you. Along with the cryptocurrencies, Coin Table also fully supports 156 other currencies, like dollar and euro. Coin Table comes with its own admin panel where you can manage all the settings and even create multiple admins/users. You get four customizable pages included in the package; home, table, currency and converter. Did I mention already that Coin Table is not really a cryptocurrency WordPress plugin? To enhance your WordPress websites, this set of Premium Cryptocurrency Widgets will help you out tremendously. It gives you the opportunity to effortlessly add a broad range of widgets to your sites with cryptocurrency quotes. 1500 coins are supported, from the most popular ones to those less known. Predominantly, all currencies are updated real-time, without the page refresh. Moreover, all cryptocurrency prices can be transformed into fiat currencies for your users to better understand their value. Meaning, let them know the value of Ripple in dollars, euros, yens and rubles. All Premium Cryptocurrency Widgets come with various templates and color options for you to find the ideal one to fit your branding. You can operate all widgets from the native WordPress administrator. Whoever plans to run a website similar to coinmarketcap.com or add an extension to your existing page, use CoinCompare cryptocurrency web app. For each coin, you can display a set of data, like last trade price, 24h absolute change, high/low, price in BTC and market capitalization. Of course, more information is available for you to add to your coin comparing spreasheet. CoinCompare plugin is mobile friendly, search engine optimized and supports Google AdSense for monetization. For each coin, you can create an individual page with more helpful information and data. Moreover, the news ticker on the home page allows you to fetch and rotate news from any RSS feed. The tool is also multi-language friendly and already translated into many languages which you can select from the admin panel. Ten widgets are always at your service when picking up Virtual Coin Widgets. Besides, you are also treated to a practical builder with which you can create shortcodes in a snap and see them in action using the preview page. Now you can showcase information about the crypto market on your own website for over one thousand cryptocurrencies. On top of that, all data is automatically updated every ten minutes. Manual updates are a thing of the past. Virtual Coin Widgets are change label, price card, table, converter and full card to name a few. 21 color presets are also part of the gem so you might find the right one out of the box. Boosting your website with extra widgets and custom built shortcodes is easy with Virtual Coin Widgets. Let users further investigate the preferred coin with help from your amazing and super handy chart. Cryptocurrency Charts supports all the major coins and then some, like Bitcoin, Dash, Waves and Monero to name a few. The historical performance of all the coins can be compared against each other and displayed in any major fiat currency. 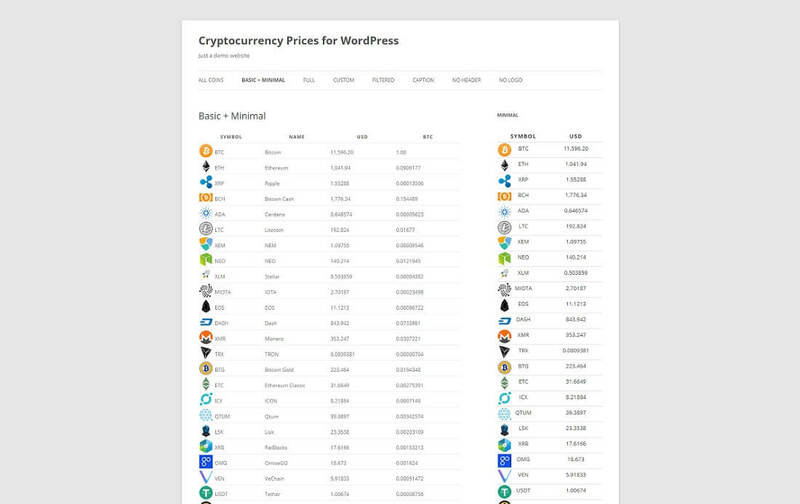 With Cryptocurrency Prices for WordPress plugin’s powerful shortcodes, you can display over 1,300 coins on your WP website. After the installation and plugin activation process, set things up how you like it and from then on, the tool runs automatically. No API key is needed, as well as no registration and no hidden fees. Cryptocurrency Prices for WordPress displays volume, market cap, hourly and daily rises and falls and other useful data. Cryptocurrency Prices for WordPress plugin updates stats every ten minutes or even more, depending on your preferred settings. The cryptocurrency WordPress plugin is also mobile and search engine optimized for great UX and increase in SE rankings. Since the numbers in the crypto world are sometimes long, Cryptocurrency Prices for WordPress uses abbreviations for volume and capitalization with a feature to display full numbers on hover. Since we are already on the topic of earning cryptocurrency passively, here is another fantastic tool that will help you monetize your website. Bitcoin Affiliate System is a PHP script which blends three affiliate methods with guaranteed high conversion rates. Affiliate programs will be part of every industry forever or maybe it will even increase with time. Just like you can refer folks to Envato, so you can refer them to other faucet websites and earn passively. And if your traffic is targetted correctly, you can see first results almost instantly. But first, make Bitcoin Affiliate System work, incorporate it into your website, add your affiliate links and let it see the light of the online space. Before you know it, first commissions hit your account without doing much promotion. Exclusive for Visual Composer builder are a set of Virtual Coin Widgets. Since the drag and drop page builder is already as simple to use as possible, now you can lift it up with widgets that cover the cryptocurrency market. You can share more than one thousand coins which all update automatically every ten minutes. Make your website rich with crypto information and keep visitors up to date with what is going on in the industry. Did Bitcoin drop? Or maybe Ethereum went up 27%? But how much does Ripple cost in dollars or euros? All this and more is what you can do with the amazing Virtual Coin Widgets. Get busy, pick your preferred color scheme, add the widgets that will do you good and rock the coin market. CoinAlerts is not really a plugin but a script which you can use freely with WordPress. The PHP script does exactly what the name is all about. It sends out price alerts via email for over one thousand cryptocurrencies. But at the same time, when a user enters their email, you grow your mailing list. Not only can you inform subscribers about the alerts later on, you can also start promoting your affiliate links. As an example, if Ripple is above their set alert price, you can suggest them where they could buy it immediately. And this link is the one which has your affiliate ID and helps you earn cryptocurrency passively for every person you refer. With CoinAlerts, users can manage their alerts, you can link mailing list with MailChimp and the final product smoothly adapts to mobile screens. Coin Charts is a cryptocurrency WordPress plugin which displays historcial data for 69 currencies. It comes as a simple to use shortcode which you can implement into your website quickly and efficiently. Moreover, you can pick between light and dark layouts, depending on the overal web design of your website. The interactive chart can display data on a daily, monthly, yearly and all time basis. Coin Charts supports all the well-known coins and lots of others. From the top, you can display charts for Bitcoin, Ripple and Litecoin, as well as Civic, Omni and VeriCoin. You might be running a blog or a consultancy agency, if you feel that your website needs more information about the crypto market, Coin Charts might be a fantastic addition. Bitcoin Transaction Accelerator is a tool that rebroadcasts unconfirmed transactions to the Bitcoin network and have them processed and confirmed quicker. Basically, it submits the transaction to a 3rd party service via an API. And no, there is no mining involved. The design is minimal and clean powered by AJAX. In the live preview, you will also see the Donate Bitcoin button which you can use to earn yourself donations for all your hard work. When you set up the script (installation and configuration process), Bitcoin Transaction Accelerator does not require any further maintenance. If transactions are sent with low fees, they might get stuck (sometimes even lost) in the unconfirmed state for hours, days and even weeks. Speed up the process of unconfirmed Bitcoin transactions with Bitcoin Transaction Accelerator. CoinIndex is an interactive platform which displays what is going on in the crypto market. Analyze trends and investigate live prices of more than two thousand cryptocurrencies. You users can set advanced alerts based on buying and selling, as well as volume and other rules. Create a platform which makes trading with coins simple, but most importantly, profitable. Now you can create your very own version of CryptoCompare.com website without the need to come up with the script all on your own. Amongst many other data, for each coin, you can display hourly price change, last trade price and market cap. CoinIndex supports an immense amount of cryptocurrencies which can be translated into various fiat currencies. In the future, a simple plugin might be developed to save you time that you will need to integrate CoinIndex into WordPress. If you are running a blog that has at least something to do with coins, then you might be interested in adding a Cryptocurrency Converter widget to it. For instance, add it to your sidebar and increase your site’s user experience. You can convert any amount to or from USD or pretty much any other currency, fiat or crypto. Cryptocurrency Converter WordPress plugin supports over one thousand cryptocurrencies and the installation process is easy as pie. Real-time prices, clean design and fast performance, with Cryptocurrency Converter, calculating different values happens in an instant. No API key is required, just plug it in and let it do the job for you. Use the widget across your whole WordPress website or have it featured only on a specific page. Not only that, customize it per your likings so it follows your website layout to the T.
Bitcoin Donate is a cryptocurrency WordPress plugin which you can add to your fundrasing, charity or non-profit websites. Let visitors decide how much they would like to donate and show donation transactions to show proof. However, you can leave transactions out if you want. You can also display the total amount of donations. With shortcodes and widgets, adding Bitcoin Donate will be challenge-free. The plugin is 100% customizable so you can quickly and efficiently tailor it to your page’s layout. All modifications of Bitcoin Donate plugin happen within the admin area. There is no API key needed, you just add your Bitcoin address and that is all you need to receive funds. Bitcoin Donate supports thirty currencies and allows unlimited donations. The plugin also automatically generates a unique QR code each time a new amount is typed in. We all like playing games, that is a fact. And who would not be interested in playing a game that involves real-time cryptocurrency prices? Cryptocurrency Price Prediction Game is a cryptocurrency WordPress plugin that allows you to bet on the major cryptos and predict whether it will rise or fall. The coins the game supports are Bitcoin, Ether, LiteCoin, Monero and others. You can set the time of prediction from fifteen seconds to five minutes. Before making any real investments, test your skills first. There is no need for you to go to the real world straight away, spending your own money. Cryptocurrency Price Prediction Game collects prices from various major exchanges to make it as accurate as possible. Activate the plugin from the admin panel and then add the shortcode to any post or page of your site you would like. Let the game begin. To display a list of cryptocurrencies on your WordPress website, you do not have to do it all manually. Avoid the tedious work and take to your benefit a simple to use cryptocurrency WordPress plugin like Altcoin Prices. It provides price information in USD, volume and market cap for over one thousand coins. The set up is very straightforward for everyone to be able to add it to their sites. Altcoin Prices automatically creates a new WordPress page with an in-depth list of coins. Now you can expand your current crypto website with a simple to browse list of all the major cryptocurrencies that are highly popular at the moment. Your users will definitely adore the great site addition. For developing a fully automated CryptoCompare.com website look-alike, use CryptoLive on a standalone or WordPress website. But there is a catch. What CryptoLive does that others do not do is that it updates prices and information live in the browser. Users do not even need to refresh the page. Rises and falls are marked with green and red so everyone instantly knows what happened with the coin they are researching. After you set up the CryptoLive script, it will automatically populate your website with thousands of coins. Additionally, each coin comes with a separate page which features historical price chart, live feed powered by WebSockets and market information. On top of that, you can easily add new pages to your website with custom content. For better navigation, CryptoLive has an instant search and filtering option to find the desired information swiftly. Cryptocurrency Faucet List allows you to create a faucet list on your WordPress site for Bitcoin, Dash, Peercoin, Blackcoin, Primecoin, Litecoin and Bitcoin Cash. All you need is the simple shortcode which you can then add to any of your pages or posts. But let all the technical part Cryptocurrency Faucet List plugin do for you. The only job you have is to specify which coin you would like to create a faucet list for. Other than that, Cryptocurrency Faucet List takes care of it. Moreover, since many faucet lists offer a referral program, you can easily earn cryptocurrencies passively for every visitor you send to their websites. Construct with Cryptocurrency Faucet List and start receiving additional income which you might be leaving on the table up until this time. Minimal knowledge is required to get things going and have a faucet list on your website live and all set up. You can now expand your WooCommerce payment gateways with Monero by using a simple plugin. Private and secure payments with no extra fees are now possible with the Monero plugin that you can add to your new or existing WordPress website. There is no need to be a master developer or coder to make it work. All you need to do is to activate the plugin and a wallet RPC server and you are good to go. It is just as easy as it sounds. With Monero plugin, you do not have to rely on any third-party software, the tool does it all for you. 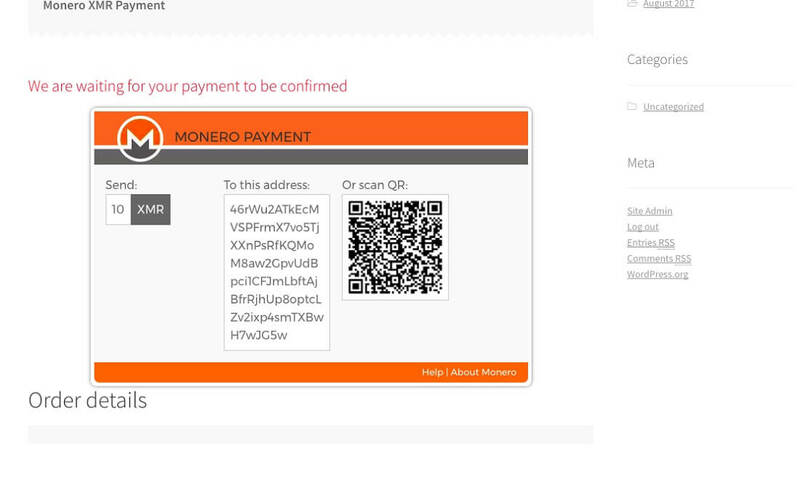 In the background, Monero takes care of all the technical work while you enjoy the received payments. The plugin also generates a QR code on the checkout and in the email notification for any QR code reader to display the address and the amount. Start collecting payments straight into your Monero wallet now. With the popularity of cryptocurrencies, featuring their values on your blog or other financial-related website is almost a must. Cryptocurrency Ticker Widget is an uncomplicated plugin that creates a new widget in your WordPress admin panel. It allows you to select almost any coin and display it on your page. Cryptocurrency Ticker Widget collects prices live from CoinGecko.com. You can add as many cryptocurrencies to your website as you wish and show their values in USD, EUR and other fiat currencies. The coin widget displays logo, the name of the cryptocurrency, as well as daily lowest and highest values. Just like with Cryptocurrency Ticker Widget, with any other of the cryptocurrency WordPress plugins, you find in this collection, you can take your website to an entirely different level. 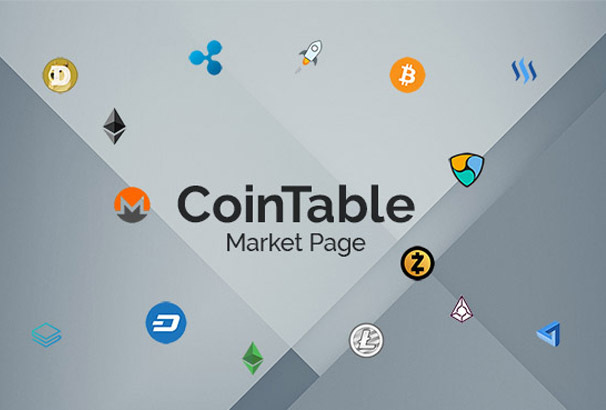 Coin table WordPress plugin is a content management system which is made for crypto currencies This plugin helps you to display real time information about crypto currencies It comes with 700+ crypto currencies information and always dated with real time data. It has 4 customizable pages which are very helpful to display information. همونطور که همه دوستانی که در زمینه تحلیل و مبادله ارزهای رمزنگاری شده فعالیت می کنن می دونن یکی از بهترین ابزارهایی که برای تحلیل نمودارهای قیمتی این ارزها وجود داره سایت تریدینگ ویو(Tradingview) هست. مشکلی که وجود داره هزینه بالای استفاده از خدمات تکمیلی این سایت هست که با توجه به مشکلات پرداخت ارزی باعث میشه اکثریت کاربران ایران برای خرید اون اقدام نکنن. در شکل زیر هزینه خدمات مختلف این سایت برای کاربران نشان داده شده است. یکی از بزرگترین مشکلات و محدودیت هایی که استفاده از اکانت مجانی تریدینگ ویو برای کاربران دارد محدود شدن تعداد اسیلاتورها و اندیکاتورهای مورد استفاده به سه عدد می باشد. برای رفع این مشکل تیم ما تعدادی از اندیکاتورها و اسیلاتورهای پر استفاده را ترکیب نموده تا کاربران بتوانند با وجود این محدودیت تمامی اطلاعات مورد نیاز خود را از نمودار استخراج نمایند. در ادامه اندیکاتورها و اسیلاتورهای تهیه شده معرفی شده اند. همانطور که از اسم این اندیکاتور مشخص است تقریبا تمامی اندیکاتورهای مورد نیاز یک تریدر را در خود دارد. در لینک زیر می توانید این اندیکاتور را روی نمودار داخل سایت تریدینگ ویو مشاهده کنید. در شکل زیر تصویری از این اندیکاتور روی نمودار نشان داده شده است. همانطور که در اسم این اسیلاتور اشاره شده سه عدد RSI با قابلیت تنظیم دوره زمانی متفاوت از دوره فعال نمودار در این اسیلاتور گنجانده شده است. علاوه بر این دو عدد EMA روی اولین RSI قرار داده شده است. در لینک زیر می توانید این اسیلاتور را روی نمودار داخل سایت تریدینگ ویو مشاهده کنید. در شکل زیر تصویری از این اسیلاتور روی نمودار نشان داده شده است. همانطور که در اسم این اسیلاتور اشاره شده دو عدد Stochastic با قابلیت تنظیم دوره زمانی متفاوت از دوره فعال نمودار در این اسیلاتور گنجانده شده است. علاوه بر این نمودار MACD نیز در این اسیلاتور گنجانده شده است. نکته ای که باید به آن توجه نمود عدم تطابق مقادیر Stochastic و MACD می باشد که باعث می شود نتوان آنها را روی یک چارت نمایش داد. به همین دلیل برای رسم آنها در یک نمودار یک ضریب بزرگنمایی برای MACD در نظر گرفته شده است. جهت عدم تداخل MACD و نمودارهای Stochastic یک ضریب جابجایی(offset) نیز در اندیکاتور گنجانده شده تا بتوان نمودار را جابجا نمود. توجه: قابلیت تنظیم ضریب خودکار در این اندیکاتور گنجانده شده است ولی استفاده از آن باعث میشود ضریب های مختلفی در قسمت های مختلف نمودار اعمال شود که تشخیص همگرایی و واگرایی را به خصوص بر اساس هیستوگرام با خطا مواجه خواهد کرد. در لینک زیر می توانید این اسیلاتور را روی نمودار مشاهده کنید. در شکل زیر تصویری از این اسیلاتور روی نمودار داخل سایت تریدینگ ویو نشان داده شده است. می توانید بر اساس استراتژی معاملاتی خود اندیکاتور یا اسیلاتور مورد نیاز خود را به ما سفارش داده و به راحتی از آن در محیط تریدینگ ویو با اکانت رایگان استفاده کنید. کلیه این ابزار ها دارای دوره تست یک هفته رایگان می باشند. برای دسترسی به آنها کافیست به اکانت تلگرام @amir_mobini پیام دهید. پس از پایان دوره تست هر یک از این ابزارها را می توانید برای مدت نامحدود به مبلغ ۲۰۰۰۰۰ ریال (بیست هزار تومان) خریداری و استفاده نمایید. تحت ترمینال یا داس کار میکند. برای نصب در لینوکس: نسخه با پسوند tgz را دانلود کنید. cryptotrader-stable-linux-amd64.tgz و بعد اکسترکت. در پوشه ای که ذخیره کردید از طریق ترمینال وارد میشید. و بعد دستور زیر را میزنید: ./cryptotrader help به این ترتیب لیست کامل دستورات برایتان می اید. در جلسه بیست و یکم در مورد انواع سفارشات، حد سود حد زیان ، سفارشات در حال انتظار، تغییرات در سفارشات و بستن سفارشات صحبت میکنیم. انواع سفارشات از لحاظ معاملاتی تقسیم میشن به یک: سفارش لحظه ای که در قالب Instant Execution یا Market Execution هستش، که دو نوع داره، سفارش خرید که در حالت Instant Execution بای هست و در قسمت مربوط به Market Execution اسمش Sell by Market نامیده میشه و در مورد سفارش فروش در حالت Instant Execution سل و در حالت Market Execution اسمش Sell by Market هستش.